At age nine, Colin has entered a volatile stage. Tears and tantrums come easily, often, and unexpectedly. He talks loud much of the time, all but shouting in typical conversions. He commands and interrupts. He ignores repeated requests, even pleas, to quiet down. 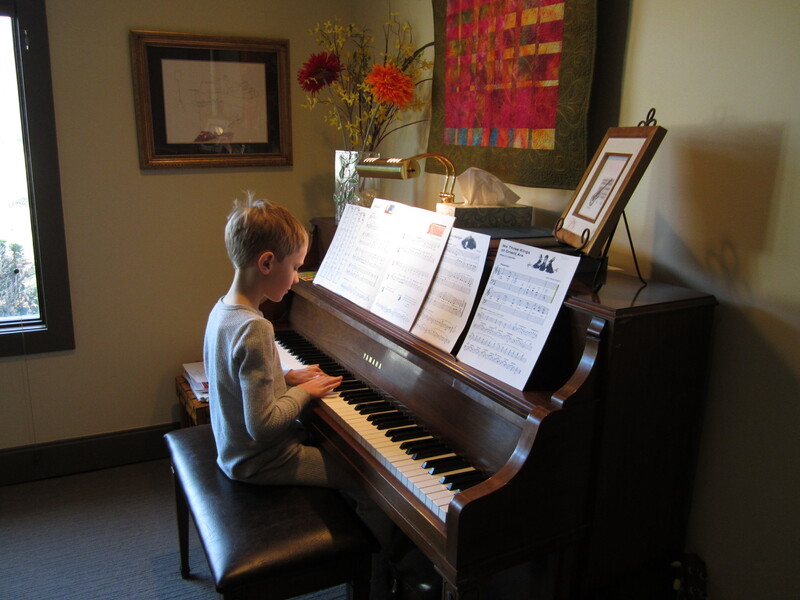 Yet, this little powder keg of a boy sits with pure focus over a book or at the piano. He sings like an angel in the Salt Lake City Children’s Choir, his voice ringing out with the other voices at The Cathedral of the Madeleine, in tune with the harp and organ, his eyes wide at the applauding crowd, the echoes, vaulted ceilings, stained glass windows, and candles. I try the “powder keg” analogy with Colin’s brother Quinn, who often sets Colin off without even knowing it (and other times knowing full well what he’s doing). I talk to Quinn, trying to convince him to be my ally when the tantrums start. So, when I see one coming, I’ll whisper code words to Quinn, “fuse” or “sparks” or “gun powder.” Sometimes he’ll stop what he’s doing and try to help me calm Colin, sometimes not. Many times even when he tries it doesn’t work. Once begun, it seems, a tantrum must run its course. “Now, dad, we can’t have any more of this freak business,” he says. There’s no arguing with the plain, damn truth. We both know he’s right on it. Both of us are powder kegs thinking with our butts. At least I am in good company. This entry was posted in Field Notes and tagged "autism, parenting, patience, tantrums, wisdom of children. Bookmark the permalink. Great post. Having just had you folks here and having seen and heard the encounters, I can well understand your frustration. It would be interesting to be able to understand the way he sees them. He must not be able to sense the level and intensity of his outbursts. It must seem like normal, perfectly reasonable conversation to him. “Why is Dad shouting at me for no reason? I just made an innocent comment and he’s out of control. What is wrong with him? What you need is a volume control to turn down, or a muting button to push. It would solve everything. Gosh, I love this post. Thanks Steve!